Mickey’s Not-So-Scary Halloween Party, the popular seasonal event that scares up tons of fun, has returned toMagic Kingdom® Park! 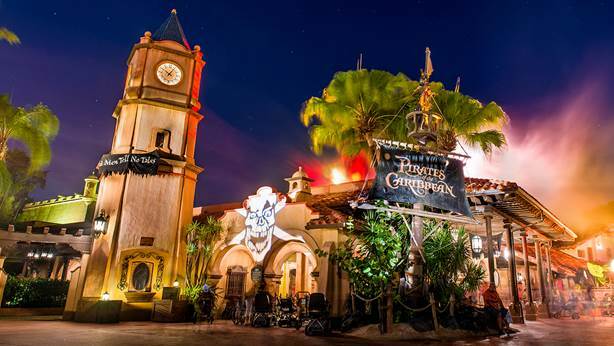 During this event, which takes place on select nights August through October, Guests can trick-or-treat throughout the park, enjoy attractions, spy spooky decor and visit Disney characters dressed in their very own Halloween costumes. Special event-exclusive entertainment includes “Mickey’s Boo-to-You Halloween Parade,” the “Hocus Pocus Villain Spelltacular” stage show and “Happy HalloWishes” fireworks. Special fall and Halloween-themed treats also takeover (check Alex’s post for the delicious details). Advance tickets start at $75 for adults and $70 for children ages 3-9 (plus tax). Day-of tickets start at $85 for adults and $80 for children ages 3-9 (plus tax).